John W. Nordstrom: Nordstrom emigrated to the United States when he was 16, from a town in Sweden just 60 miles from the Arctic Circle. He anglicized his name and began to move west, working on the railroads, lumber and shipyards and in mines. He arrived in Seattle in 1896. Nordstrom tried his luck in the Klondike gold rush, and he returned to Seattle with $13,000 (although it was from a land dispute settlement, not gold). 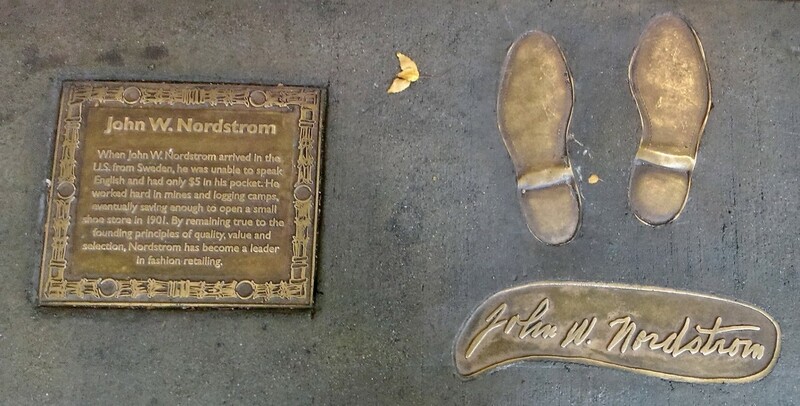 He joined his friend Carl Wallin in business and launched a shoe store in downtown Seattle in 1901 – Wallin & Nordstrom. Over the next 115 years, the Nordstrom retail empire grew to more than 300 stores internationally. Today, the Nordstrom family is closely involved with the chain’s management, and retains 20% of the company. Bruce Pavitt and Jonathan Poneman: Pavitt founded the Sub Pop record label in 1986, named after his music fanzine Subterranean Pop. 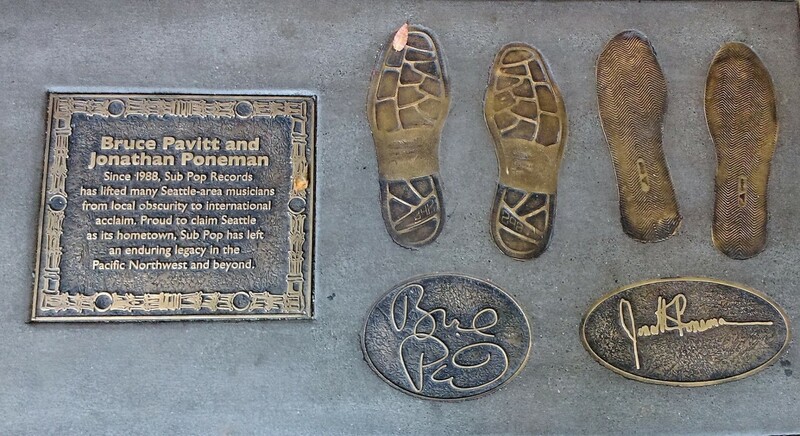 Two years later, Pavitt and Poneman officially launch Sub Pop Records LLC in Seattle, which would go on to become a central part of the city’s underground grunge movement. In 1988, Sub Pop released debut singles from newcomers Mudhoney and Nirvana. Pavitt and Poneman studied marketing strategies of other independent record labels, including monthly music subscriptions by mail. Since the 1980’s Sub Pop has continued to evolve beyond grunge music, and has signed artists like Fleet Foxes, Sleater-Kinney, The Postal Service, The Shins and Wolf Parade. Belding H. Scribner: Scribner was born in Chicago, earned his medical degree at Stanford and completed his post graduate work at the Mayo Clinic in Minnesota. He joined the faculty of the University of Washington’s School of Medicine in 1951, and with a team of two others, developed the Scribner shunt in 1960 – a hemodialysis device to maintain circulatory access for failing kidneys. This created an ethical dilemma for clinics: Who will be treated if possible treatment is limited? Some experts cite the use of the Scribner Shunt as the beginning of bioethics. Northwest Kidney Centers was established the following year, the world’s first outpatient kidney dialysis center. Scribner received the Albert Lasker Award for Clinical Medical Research in 2002, and is remembered today through the University of Washington’s Scribner Courage in Health Care Award. Michelle Akers: Growing up near Seattle, Akers played soccer while attending Shorecrest High School; she was named an All-American athlete 3 times before graduation. She went on to attend the University of Central Florida, where she was selected as a NCAA All-American athlete 4 times, elected as Central Florida’s Athlete of the Year in 1988-89, and was awarded the Hermann Trophy for top college soccer players. Akers joined the US women’s national soccer team in 1985, and was named the US Soccer Federation’s Female Athlete of the Year in both 1990 and 1991. She played in the FIFA Women’s World Cup in 1991, 1995 and 1999, as well as the 1996 summer Olympics. After retirement, Akers was voted the FIFA Female Player of the Century in 2002, and was one of only two women to make FIFA’s list of 125 greatest living soccer players. Jim and Lou Whittaker: The Whittaker twins grew up in Seattle, enjoying the Pacific Northwest wilderness just outside the city. At the age of 16, they climbed Mount Olympus, the highest peak in the Olympic Mountains in western Washington. They both attended Seattle University, and joined the Army to serve with the mountain troops, teaching soldiers to ski and mountaineer. 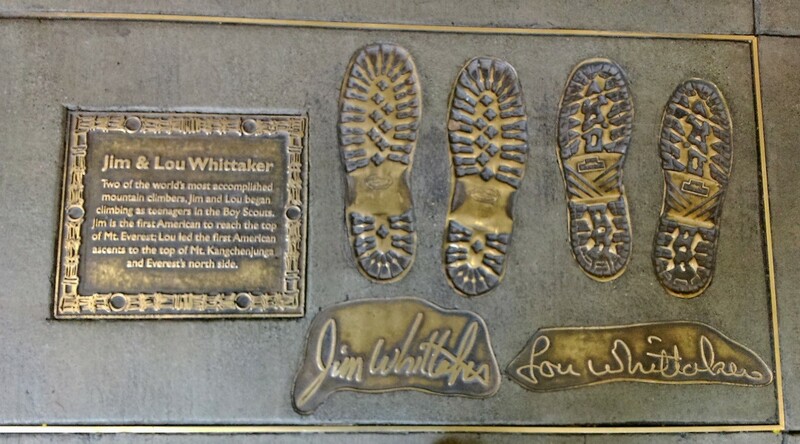 Upon their return, Jim Whittaker went to work for REI, where he served for a period as CEO. Lou lead the first US team to climb the dangerous north face of Everest. Not to be outdone, Jim climbed Everest in 1963 – and reached the summit with the help of a Sherpa, despite having run out of oxygen. When Senator Robert Kennedy visited the Pacific Northwest, he came to Jim to guide the climt to summit Canada’s unconquered Mt. Kennedy (named for the late JFK). This entry was posted in The Seattle Scene and tagged Albert Lasker Award for Clinical Medical Research, Bruce Pavitt, FIFA, Hermann Trophy, Jonathan Poneman, Mayo Clinic, Michelle Akers, Mt. Everest, Mudhoney, NCAA, Nirvana, Nordstroms, Northwest Kidney Centers, REI, Scribner Courage in Health Care Award, Seattle University, Shorecrest High School, Sleater-Kinney, Sub Pop records, University of Washington. Bookmark the permalink.